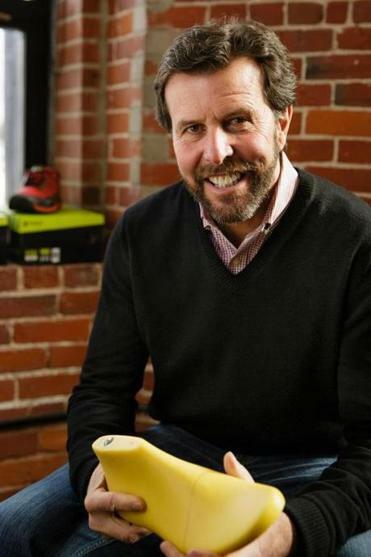 Tony Post hopes to use money from a recent investment round to help his Newton company, Topo Athletic, expand overseas. Taking on the big boys in the running shoe industry isn’t easy. That’s why Tony Post knows he’s lucky he landed more funding from Norwest Venture Partners, to give his company, Topo Athletic, the resources it needs for an international expansion. It was worth it, he says, even though that meant losing a controlling stake in his Newton firm. California-based Norwest now has the majority share, after leading a $2.5 million round of funding for Topo; Post says he kicked in about 10 percent of that amount. Topo’s running shoes are now in about 300 stores, Post says, nearly twice the number from a year ago. But that number is still tiny compared to titans like Nike and Adidas. So Post says he’s embarking on an international push. Most of his business takes place in the US, with an increasing number of sales in Canada and small amounts in Spain and the United Kingdom. Next up: Hong Kong, Thailand, Denmark and Norway. Topo will have some help in this expansion from two new board members, Second Time Around CEO Kristin Kohler Burrows and Jef Holove, the general manager of Intel’s Basis wearable device business. Even with the extra money, Topo doesn’t plan to spend a ton of money on traditional advertising. It’s more cost effective, Post says, to spread the word in social media and through the company’s 33 “ambassadors” who talk up the brand in their own communities. They get paid in shoes for their efforts. For some fitness fanatics, that’s enough.